This week I am linking up with I'm Lovin Lit & Jivey! Since I just got back to school, I started up my Reader's Workshop with Kara, the Reading Specialist who pushes into my room a few times a week. I was lucky because I got to sit back and watch her teach the lesson we planned and then repeat the same lesson with my second class. She is an amazing teacher and while watching her teach you can certainly understand why she was elected Teacher of the Year for 2013! We are just starting out unit one: How does literature and informational text help us discover what we have in common? 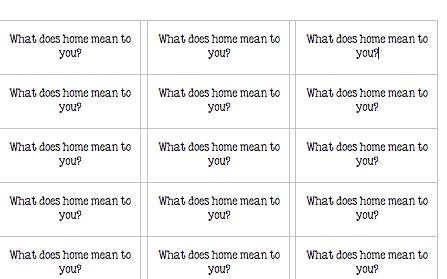 From that essential question we go into learning about homes around the world and even people without standard homes. I like to type the question on return address labels and stick them directly into the reading notebooks. It alleviates the students taking forever to copy the question and gives them more time to focus on an answer. I loved that the students were able to answer this question before we started because most of the answers were. "A house is what you and your family live in and always filled with video games, toys, clothes, and food." Next we taught a reading strategy called "Again and Again" taken from a great book Notice and Note by Kylene Beers. I liked teaching using this strategy so much, I created my own bulletin board set of all six reading strategies to refer back to throughout the year. Since I plan on teaching all of the strategies, I just ordered my own copy of this book. I can't wait to get it in and read it! Below is Kara's anchor chart, I can't take credit for the beautiful handwriting, but I can take credit for the awesome Mr. Sketch smelly chart markers my blog friends talked me into ordering. BEST.THING.EVER! 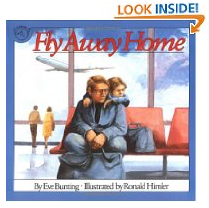 Anyways, after the students answered the above question in their notebook, we used the above strategy to read one of my favorite books Fly Away Home. Eve Bunting repeats the concept of "not getting noticed" a ton of times throughout this book. The students picked up on it right away and were actually saying "Why does this keep showing up again and again?" while talking with their discussion partner. It was a very interactive lesson and the students actually enjoyed it. 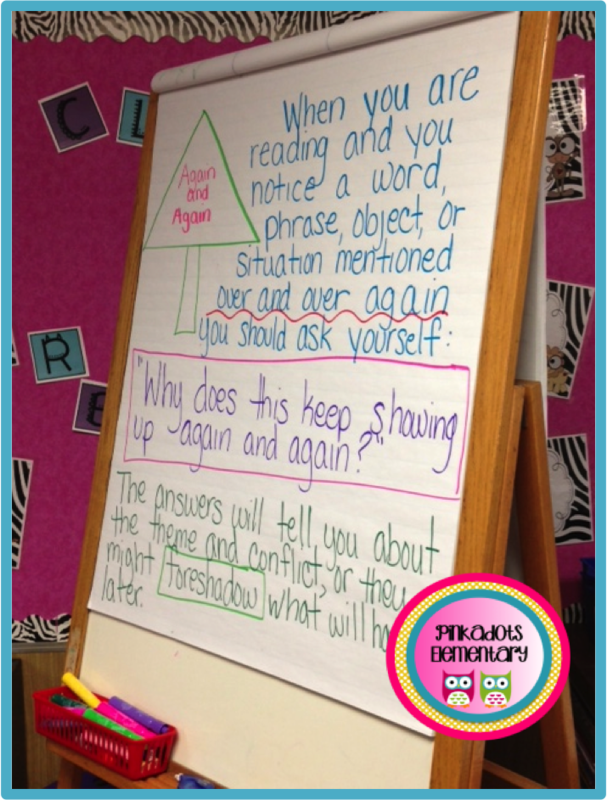 We used this strategy to work on inferencing and it worked great. We charted information from this story onto the class chart and then the students went back to their seats to work. 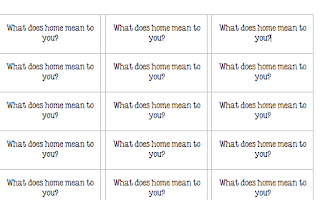 My favorite part of this lesson was when answered the question, "What does this story teach us about home?" I'm happy to say that EVERY SINGLE student had a new definition of home after reading this text. Everyone wanted to change their previous answer, but instead we just added on to it. I wanted them to leave it because it shows new learning from the text and I explained to them that new learning means their minds were opening and getting smarter. They seemed to like that answer and were proud of their new thinking. The label idea is genius! I should do that with the mentor sentences!!! I LOVE Fly Away Home - such a great book. 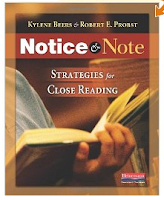 I just taught my first lesson from Notice and Note--contrasts and contradictions! 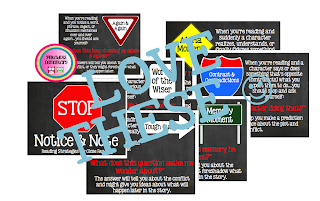 Would LOVE to read more about how you are teaching these signposts! How many days a week do you do close reading? My school just set aside a 30 minutes blocks everyday in the morning where the whole entire school (K-5) is doing it. I really love teaching my kids how to decompose difficult texts. It's amazing the things they do when we doubt them. I love your blog! I'm still trying to tweak my small groups for Daily 5. I taught 3rd grade for six years and now I'm starting my first year teaching 4th grade. 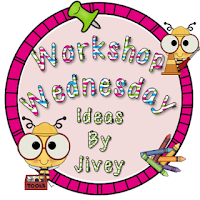 Looking forward to finding some good ideas from your blog! What a great post! 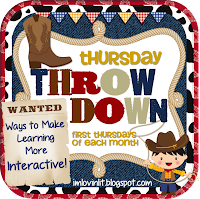 Thank you for all the great ideas and resources. I love the idea of using address labels for questions. I now have Notice and Note on my Amazon wish list. It looks like a great resource. Your posters look great. Fly Away Home is the perfect book for this lesson. Eve Bunting is one of my favorite authors. I love that she writes picture books geared for older students. Thank you for giving me a new way to use the wonderful book. I love Fly Away Home! What a great lesson to go with a wonderful book. Thanks for sharing!